There is sunlight today, so I will try to get a picture of the jam in the jars posted later on. Wish me luck! 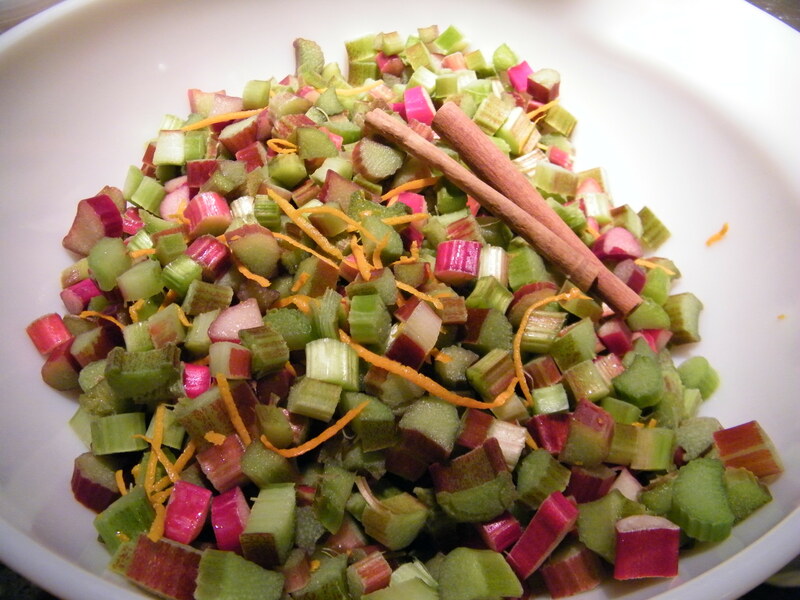 Place rhubarb, clementine zest and juice, and the cinnamon sticks in a bowl. Add the sugar, mixing well. Cover bowl; set aside at room temperature for two hours, stirring occasionally. The sugar will dissolve as the fruit releases its juices. After two hours, refrigerate covered overnight. 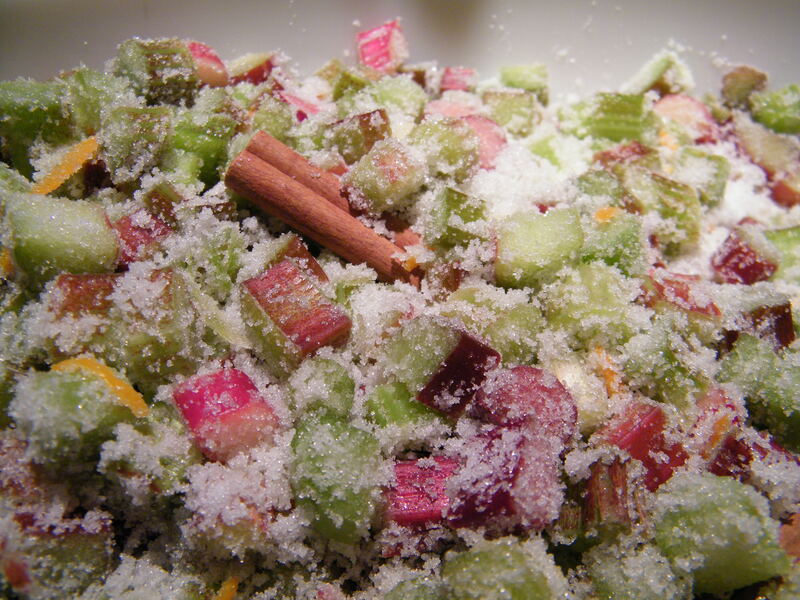 When ready to make the jam: Stir rhubarb/sugar mixture one more time. 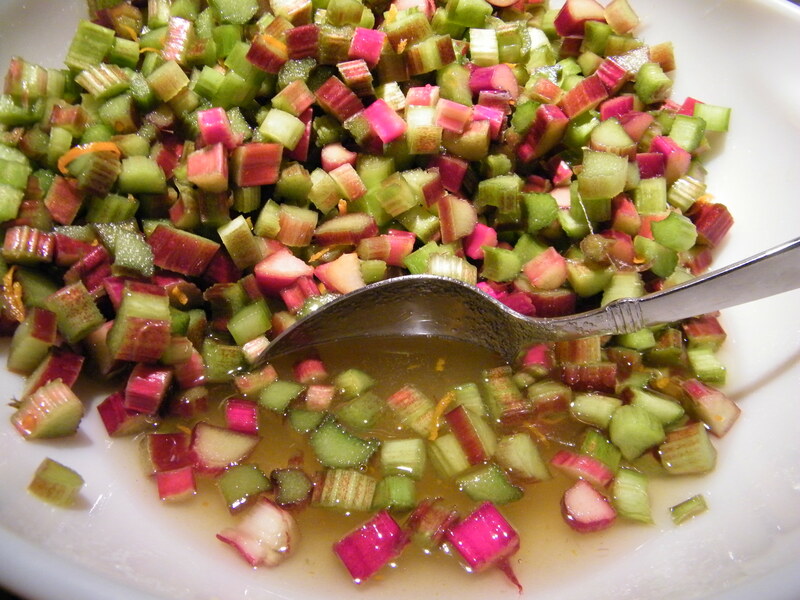 Drain the rhubarb and pour the juice into a large saucepan. Scrape any extra undissolved sugar into the pan, if needed. Add cinnamon sticks to liquid. Place pan over medium heat and stir, completely dissolving the sugar, if needed. Bring liquid to a boil. Add the rhubarb to the pan. Bring mixture back to a boil, then reduce heat to cook at a low boil about 20 minutes, stirring often so jam does not scorch. Stir in the lime juice. 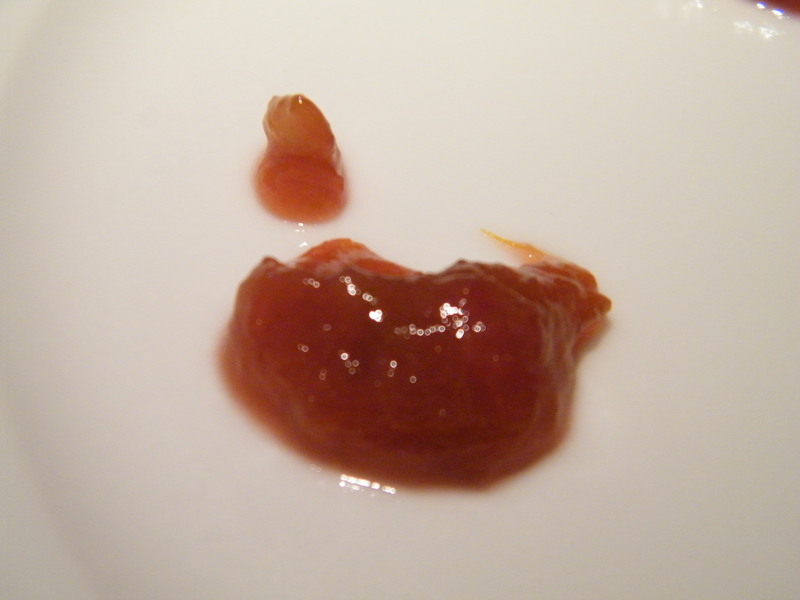 Test if jam is finished by putting a teaspoon of jam on a cold plate. If it does not set up within 2 minutes (or has some juice pooling around the center mound of jam), cook a few minutes longer. Remove the cinnamon sticks. Ladle the jam into clean, hot canning jars, adjust lids and seal in a boiling water bath 10 minutes. Cool on a rack. Makes about 4 1/2-pints. Mmmmm….. jammy goodness! To see a great tutorial on hot water bath canning go to CanningUSA. CanningUSA also has video podcasts about the canning process you may find helpful. This entry was posted in Dairy Free, Dips and Sauces, Food Preserving (canning/drying/freezing), GFCF, Gluten Free. Bookmark the permalink. I don’t make my own jam, but this sure sounds good! Maybe I should give it a try.